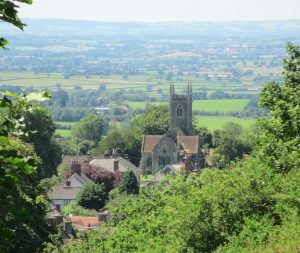 The parish of St James is its own small village under the hill south of the town and is the oldest part of Shaftesbury. St James’ is a lively and welcoming church - newcomers and visitors particularly comment on our friendliness. The church is open during daylight hours with a quiet prayer corner. We also have a permanent outdoor labyrinth, changing with the church seasons, to allow visitors to unwind from the rush of daily life. We have a very strong relationship with our adjacent church Primary School. They have a monthly worship in the church, while special services have been crafted for parents of new or leaving pupils. Their harvest,and carol services also attract a large following.